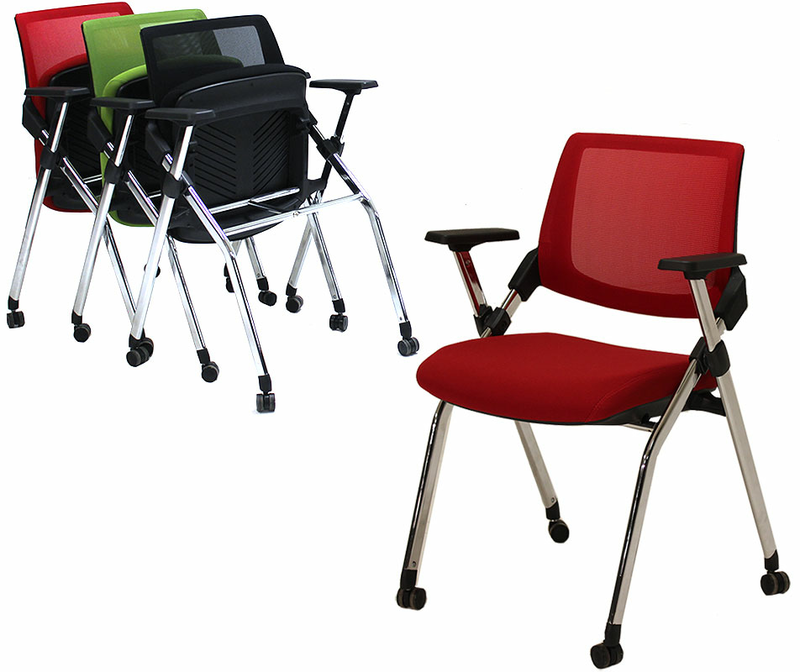 Our versatile flip seat nesting office chair is ideal for multiple purposes throughout your office! 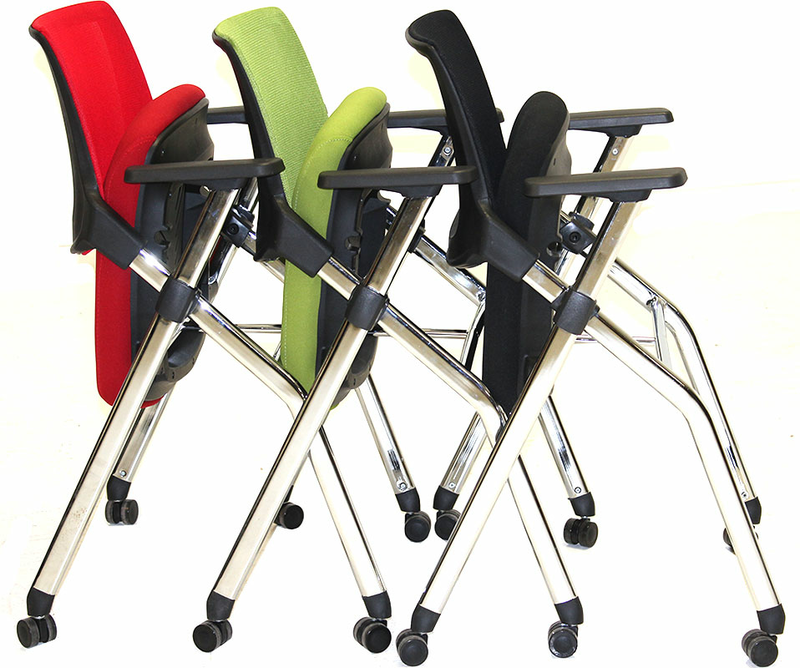 Ideal for training room, conference, classroom or as an attractive guest chair! 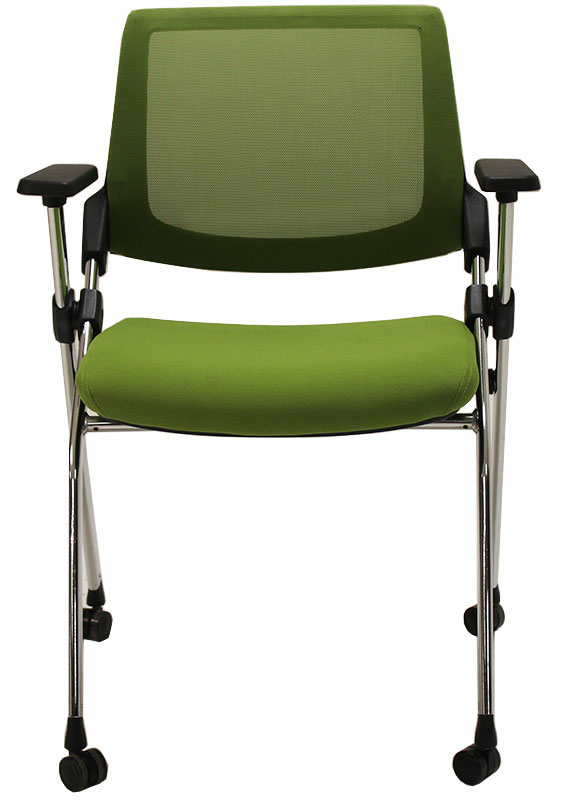 Breathable mesh back keeps visitors cool and when you're done, just flip up the seat of the chair and roll it away! Flip up seat provides the option to nest multiple chairs together for space-saving storage. Easy Assembly. Shipping weight 21 lbs. PRICE INCLUDES SHIPPING! IN STOCK! * Available in three sharp color choices: Fire Engine Red, Midnight Black or Palmetto Green. * Fabric upholstered seat flips up to nest chairs together when not in use. Please note these chairs do not stack vertically. 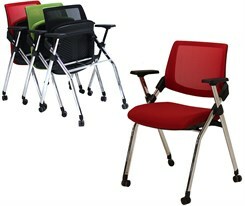 * Attractive and durable chrome metal frame. * Chair easily rolls into place on four carpet casters. * Armrests are 26-1/2" allowing plenty of clearance space under tables. 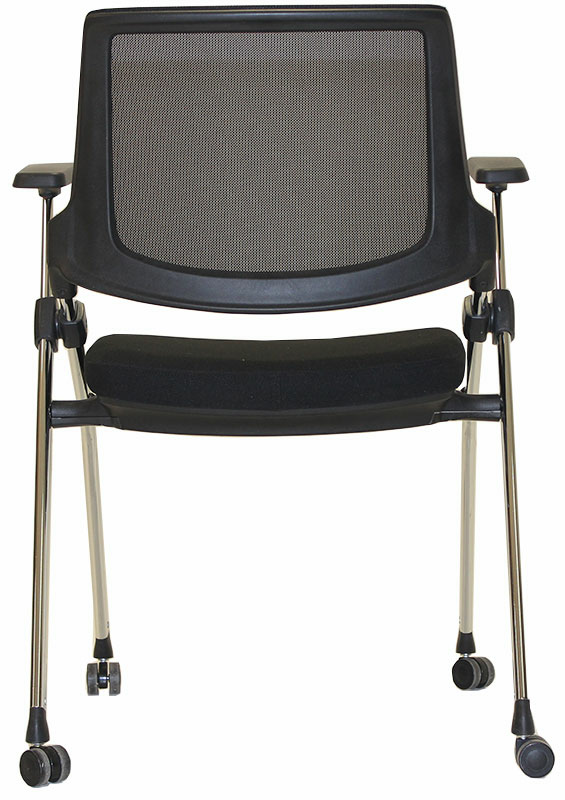 * Chair seat is 17-3/4"W x 17-1/2"D and is 18-1/2" from the ground. * Flip-up seat allows chairs to nest to save storage space. 10 chairs take 114" of space when nested. * Space between arms: 18". * This chair is tested for users with a maximum weight of 220 lbs. 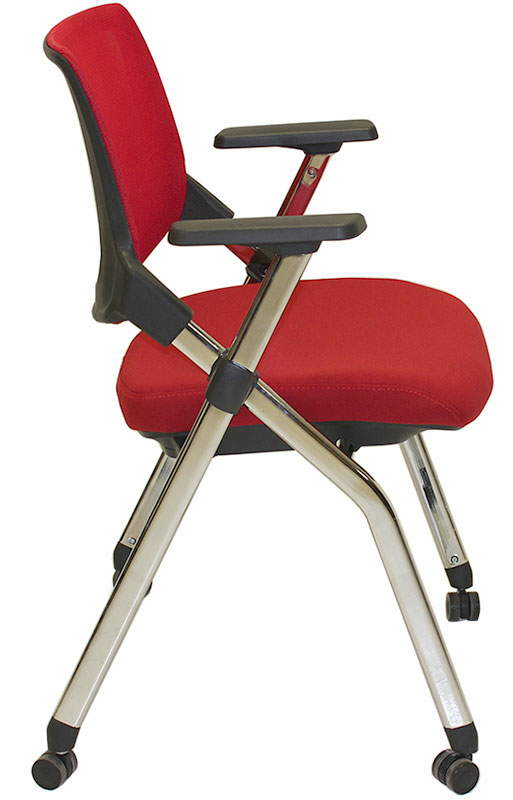 * Backrest measures 17"W x 14-1/2"H.
* Chair measures 23-1/2"W x 21"D x 33"H overall. Replaces casters to convert chair into a stationary chair. 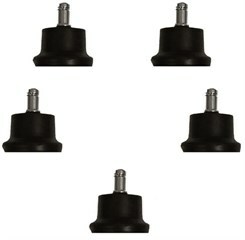 Sold in set of 5 glides. Glides are 1-3/8" high x 2' diameter. Glide stem measures 1.1 cm diameter x 2 cm long. Shipping weight 1 lb. PRICE INCLUDES SHIPPING! IN STOCK!